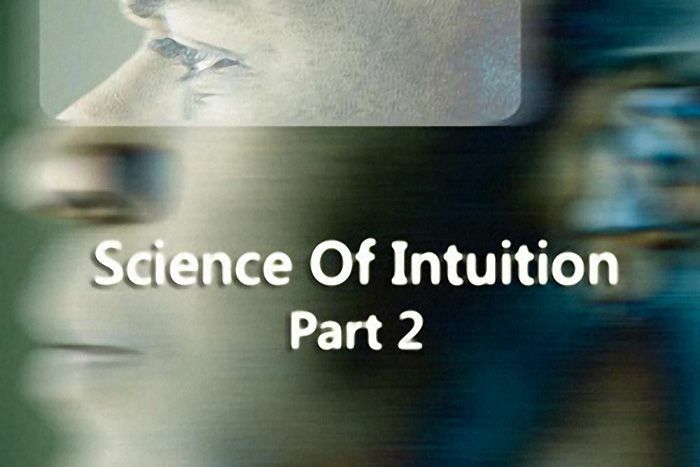 In order to awaken your intuition you need to move out of your brains rational and structured way of processing information. It is important to realise that unless people are prepared to step out of the well-worn paths of neural connections and entertain different thoughts then the old established ways of thinking and behaving are going to continue. Even scarier is the fact that because these old ways are primarily unconscious people are usually unaware of their thoughts, behaviours and actions. Neuroscience has now discovered that between 95-99% of what people think and do is unconscious. Therefore most of what you think, say and do just happens automatically. As a result of all this you can see that accessing intuitive information before taking action isn’t as simple as it sounds, primarily because brains aren’t wired to easily operate this way. Brains are designed to operate from the past to save people the time and energy of relearning. Life then becomes a reaction based on perceptions and beliefs from the past. The first step in getting out of this cycle is to recognise and accept this fact. This then affords you the opportunity to accept that your current reality isn’t the only reality that is possible. Thoughts make reality and if you can change your thoughts you can change your perception and view of the world. In order to be able to connect with your intuition you need to break up your strongly held beliefs and make room for new possibilities. Whilst your network of neural connections remains strong you will automatically react to life given your existing perceptions and beliefs. To break these neural connections you need to entertain the thought that your existing beliefs and perceptions may not be in your highest interests. You need to have enough doubt in your perceptions and beliefs to get a pause between thought and action. While your beliefs and perceptions remain hard wired it is impossible to get in touch with your intuition because intuition exists outside your current reality. As Einstein once said you cannot solve a problem with the same level of thinking that created it. Hopefully now you might consider the notion that you don’t always know what is in yours or other people’s highest interests. The reality is doubt is a good thing for it allows a slight pause in the tight neural connections to allow intuitive wisdom to enter. Unfortunately doubt is frowned upon in society and seen as being a weakness. Confident successful people don’t doubt. Well unfortunately confusion is needed to break up the neural connections. Doubt creates a pause but that pause will soon disappear unless doubt is followed by confusion. Confusion definitely allows for other thoughts to enter because automatic actions are temporarily suspended allowing time and space to think differently. If during this space you can entertain the thought that there is a better way of thinking you open yourself up to new possibilities. The trick is that you must honestly want a better way otherwise the confusion will disappear and you will go back to your old thinking patterns and automatic reactions. Therefore you need to be content to stay in a state of confusion. Then say to yourself with conviction I know there is a better way for me to think and perceive this situation or problem. Then let go. You may get a different thought straight away or it may occur in a week or several weeks’ time. The important thing is to stick with the confusion until the right thinking comes to mind. How do you know if it is right thinking? Firstly it will be very different from how you have previously thought and secondly it will feel like an aha moment.